What to look for when purchasing a scanner, tips on achieving high-quality results; basic terminology, types of scanners & what add'l equipment is needed to set up a scanner at home; basics of scanning, preparing images to selecting resolution to using preview scan. Differences between image formats (TIFF, JPEG, and EPS); Info on manipulating scanned images & displaying on the Web or print. Out of print! Capture those precious memories in a way that does them justice. Take pictures more worthy of framing than stuffing in a box in the closet. 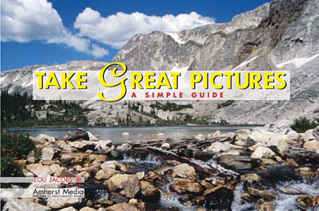 Ron Nichols, photojournalist and picture-taking dad, shows you how in easy to understand language, and with step-by-step instruction. What makes a great picture? This book shows those new to photography how to master the basics of exposure, composition, and lighting, making picture-taking more satisfying than ever before. Discussions on multiple formats, films, filters, and artistic techniques make this book perfect for the novice photographer.